Installing or removing the Raspberry Pi PI2B board is astonishingly quick, simple, and secure; all without tools or assembly. One snap action locks the Pi board into the case; the second secures the lid, rattle free. Remove the Pi board and the lid with one-finger-releases for each. Genius! 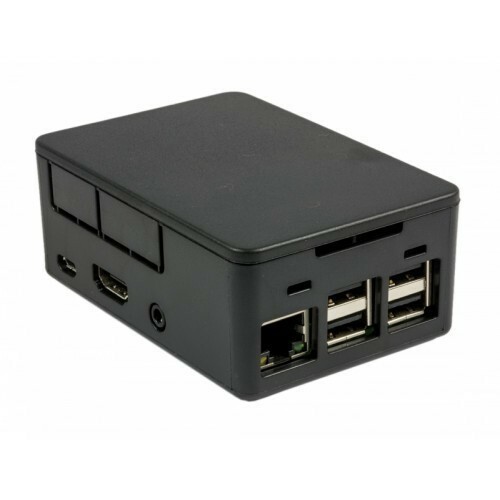 Whether you’re running a plain Raspberry Pi 2 board or modding it to the max, the HighPi case has your Pi covered. Generous internal room allows HATs, break-out boards, or heat sinks. Vents on three sides double as fly-through cable ports for the GPIO and whatever else you need to connect to. A two-section break-out allows you to choose how much of the A/V side of the case to open up for connectors on attached boards.